The Mi TV 4 features 2GB of RAM and 16GB of flash storage as well as an AI voice recognition system. 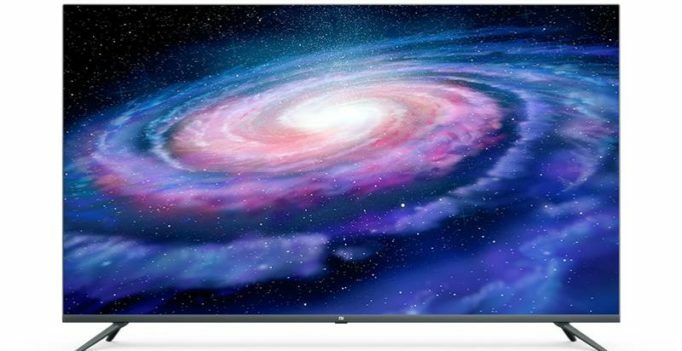 Alongside the launch of the Apple AirPods competitor, the Xiaomi Mi AirDots Youth Edition, the tech giant has also introduced their latest Xiaomi TV. The Mi TV 4 65-inch television comes boasting impressive specifications such as 4K HDR support and integration for Dolby + DTS audio. Priced at CNY 5,999 (about Rs 63,000) the Mi TV 4 comes with the Android-based PatchWall UI and sports an ultra-thin metal body that’s just 7.5mm in width. The Mi TV 4 features 2GB of RAM and 16GB of flash storage as well as an AI voice recognition system. The new television also comes with a quad-core Cortex-A53 SoC and features minimal bezels dressed in metal that’s similar to other models from the Xiaomi Mi TV line-up. The TV comes with Dolby + DTS audio encoding that aims to deliver a superior sound experience. The AI voice assistant works with the bundled remote. The Mi TV 4 is already on sale in China and as of now, there’s no word on when it will launch in India. How is Shah Rukh Khan outside reel life? His ex-employee spills the beans!